Casio Privia PX 350 Review: Is It The Best Bang For The Buck? 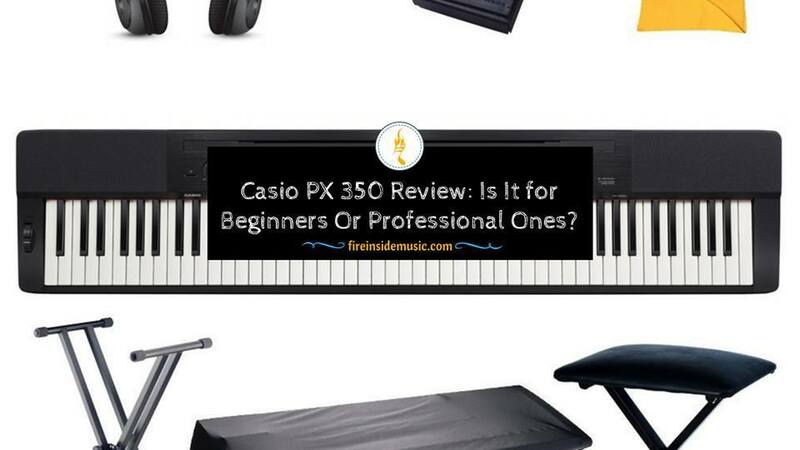 Casio PX 350 Review: Is It for Beginners Or Professional Ones? The Casio PX 350 is a new line of digital pianos that represent an essential improvement of the continuous upgrade of the famous Privia brand. You will be completely satisfied with the design of an advanced action keyboard and a strong audio tool that provides an enhancing level of essential detail, fine nuance, and excellent expression. As a result, when playing music with Casio PX 350, you will have the better experience of a great grand piano and sound in a lightweight design and the style that Privia has been loved so far. 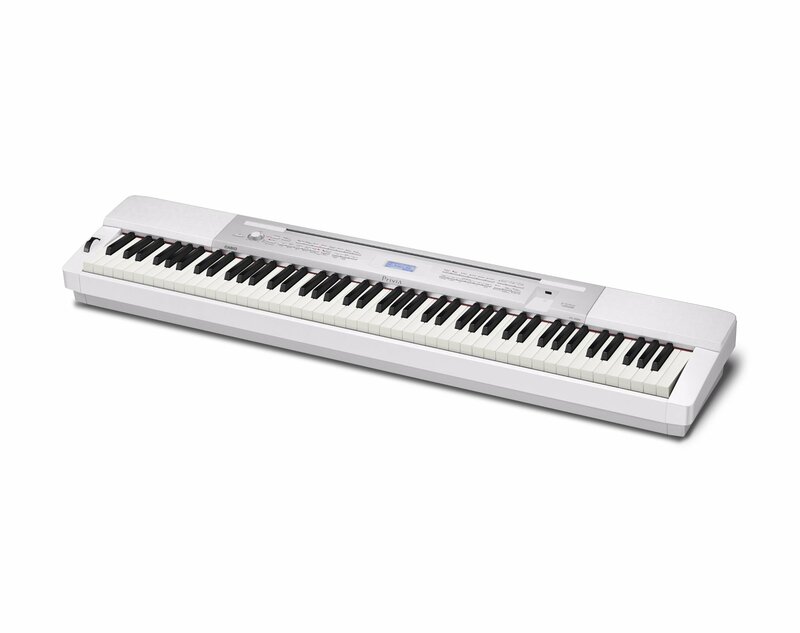 The Casio PX 350 Piano is packed with features that support beginners with music as a self-taught function, a great choice for beginners. Let's explore the specs and other outstanding features in this product's user manual. The PX 350 Piano is equipped with the most innovative AiR sound source of the Casio electric piano, the second generation simulator emulator with the grand piano. 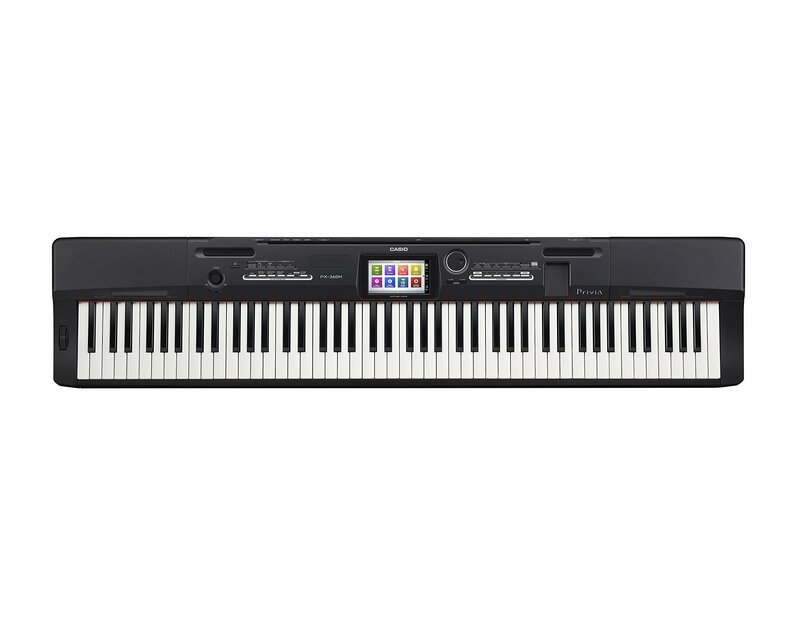 In particular, Piano PX 350 is designed to record WAV format directly and save to USB. 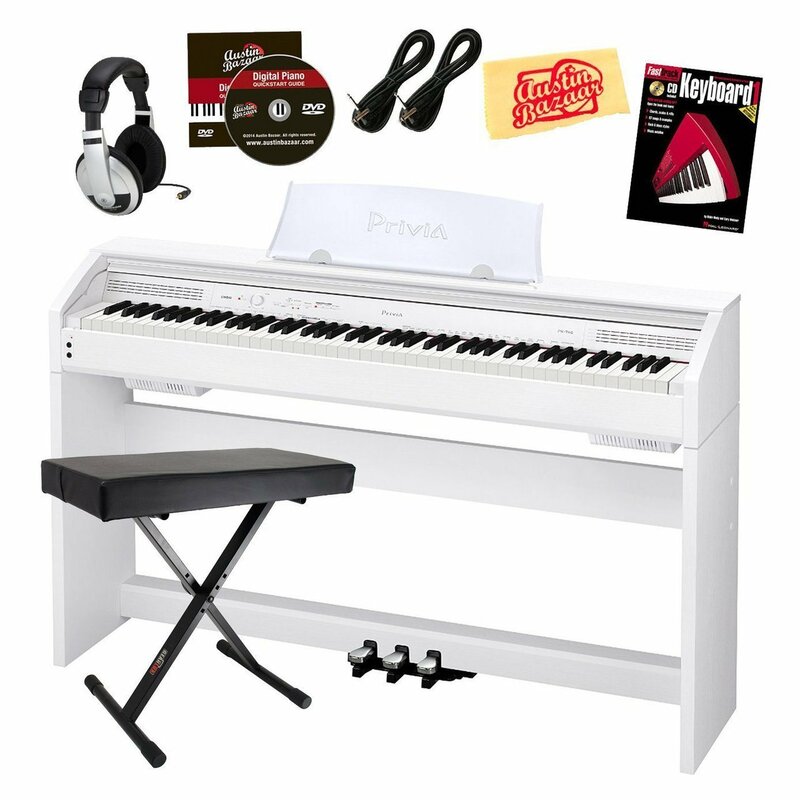 As the award-winning audio product line, Privia brand piano has been significantly upgraded. The PX 350 uses the memory of three times compared to the previous models for bringing a true and further natural tone of the piano. Moreover, Casio's new technology of Acoustic and intelligent resonance (AiR) sound source provides unprecedented realistic sound detail. It provides seamless momentum for a significant performance that expresses the strong strokes. The new resonance damper simulates and gives the deep sound of strings when using a sustain pedal. 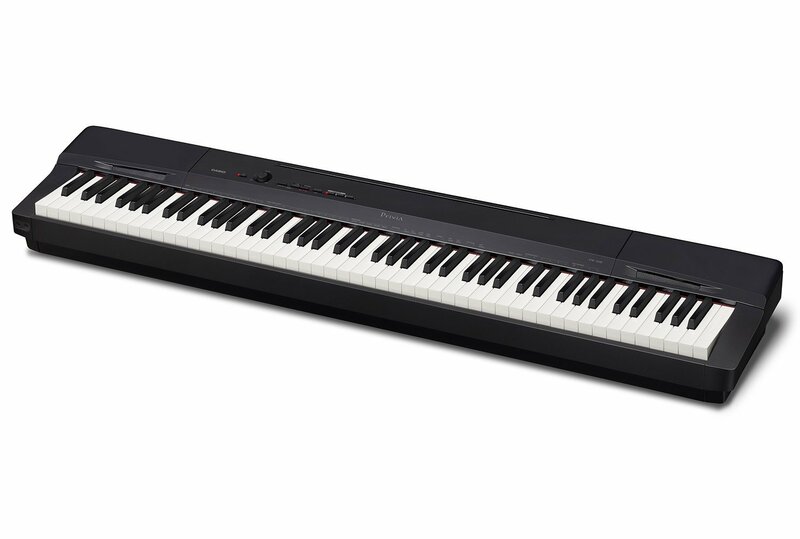 The new Casio PX 350 electric piano also features the latest redesigned 88-scale sensor keyboard. This great action with a new feature, Ebony simulation and Ivory texture key gives a great feel. It is the three sensors that provide the energetic of performance in the unprecedented speed and precision. To improve the experience more, action and sound engine coming in, the manufacturer considers the speed where differently sized hammer moves inside. It gives the sound a relatively large sound with the speed of the keys is pressed. This quick-timed nuance brings the final key to a more refined sound. This piano has 250 instruments built-in tones, strings, electric piano bodies, good brass, fine drums, deep bass, etc. You can save your favorite melody in the split and layer to use for live performances. In addition, it has 180 samples of the drum with filled up auto-buffering and 17-song recording to compose your songs. 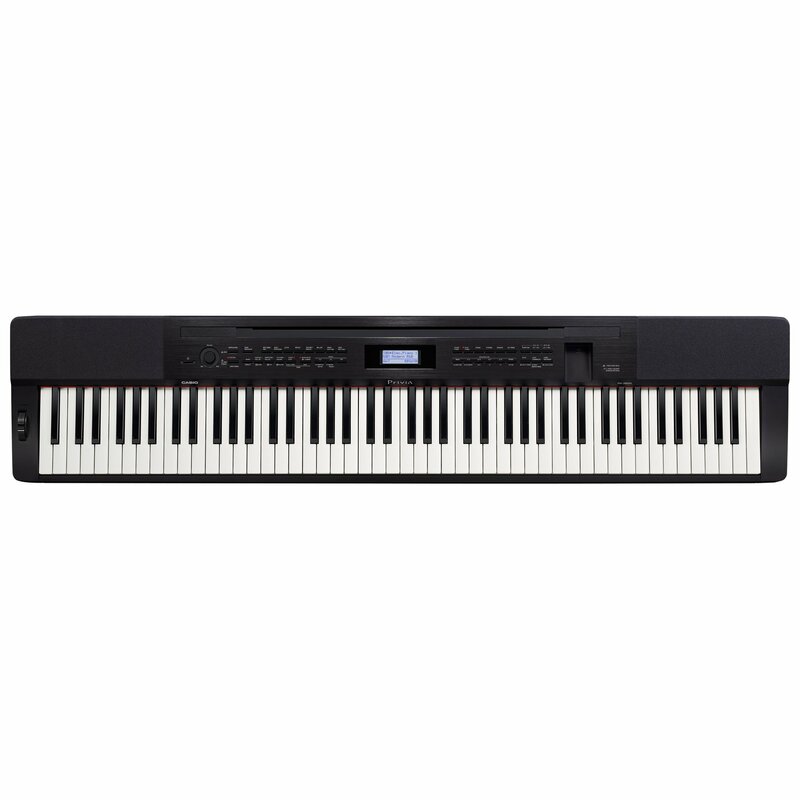 Always available for every performance on stage or in the studio, this Casio piano model has audio outputs of 1/4", therefore you can quickly connect it to the equipment of music recording and sound strengthening. The CS-67BK options can put it at the proper height, but you can remove if needed. The system of SP-33 pedal gives three pedal functions as a true piano. The resonant damper achieves a deeper and more resonant nature than the pedal. The subtle changes in reverberation occur in response to the pressure, even partial effects of the pedal operation. The Off Key and lit simulation features on this piano contribute to its piano sound. The new keyboard system reproduces nuances that occur from the speed at each key, creating vibrations that are even more authentic. The volume and quality of the sound change when the lid on a piano is raised or lowered. The lit simulator allows you to choose the level at which the cover opens or closes, giving you more options for different sounds. The features of Lesson, Duet Mode, and Music Library make the PX 350 a digital piano that is suitable for both beginners and professional piano artists. Small, light and easy to move. The keys with full weight, ivory and ebony keyboard for a great feeling. Fun keyboard with lots of sounds to inspire users to be creative. The optional 3-pedal kit with the full function of a grand piano plus a half-pedal function. Various accompaniment styles and the warm, resonant and authentic piano sound. An incredible amount of powerful, complex and rich tones thanks to the superior Casio AiR audio technology. Limit expressions because of not enough knobs or sliders to adjust the sound. Since the sound is not easy to customize and modify, live performers will see this lack of flexibility for their performance on the stage. Casio PX 350 has more exciting things than Yamaha P115. If you think you will use additional sounds, accompaniment and on sequential transmitters, Casio model offers more with less money. The most important thing is which piano appeals to you with the key action. Casio made a bold attempt to attract buyers with a new action with simulated ivory texture. However, it is an entirely personal point of view, and you need to try playing both pianos. There are some technical advantages in using Casio as a controller for external piano sound, three sensors, high-resolution MIDI speed sensor, etc. When we try to play these two keyboards for comparison, we find that the Casio PX 350 to have an advantage over Yamaha DGX 660 regarding the key action. If you need to sing accompanied with music, you can play, sing and record with Yamaha model’s effects. One of the things appreciated by purists of the piano is that Casio's sound gives the feeling of hearing better and the design of Privia in Casio model looks more aesthetic than the Yamaha model. We believe that PX 350 will outperform PX 160 in every way. It has a USB port that you can use to record directly or plug in one of those curved USB LEDs to illuminate your music sheets. The PX 160 speakers are improved compared to the PX 350, so it will sound slightly better through the speaker itself. The piano sound is the same for both. PX 350 has the rhythms so it will have more sounds to choose than PX 160. You may like the advantages of PX 350 as rhythms/accompaniment, more sounds, better 2-way speakers and connectivity (standard MIDI jacks, separate line outputs, and inputs). But do you need all of those things in PX 350? If you consider PX 150 in the first place, maybe you don’t need. The PX 150 has great piano patches and for basic piano playing a PX 150 will meet your demand. The PX 150 and PX 350 have the same action for the keys. In short, if you want to learn to play piano only, PX 150 is ideal for you. If your need is the accompaniment, rhythm tracks, and the ability to compose and record your songs, let choose PX 350. The main piano actions and voices are the same for both models, but the price difference is significant. The PX 350 is probably good enough for beginners to play the piano and much cheaper, but on the other hand, the PX 360's touchscreen looks incredibly eye-catching with additional bells and whistles. 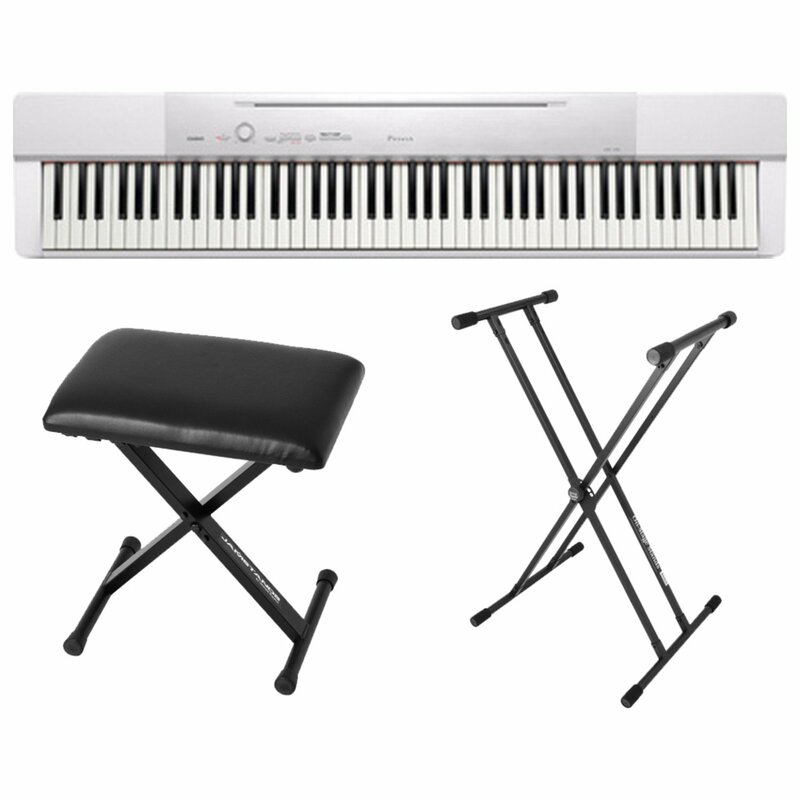 PX 350 and PX 360 has the same features of 88 full-size keys and 128 notes, but they have differences in the number of sound effects and songs. You can know that PX 360 provides you with hundreds of tones and rhythms for powerful performance and production tools. Although the features of the PX 350 may be attractive to you, if you are looking for an attached keyboard with a more traditional piano presence, the PX 760 is the ideal proposition. The specs of PX 760 are similar to the notes of PX 350, except that the integrated triple of pedals with its damping resonator produces excellent sound quality. Its incorporated stand is complete with a slide keyboard cover for the authentic piano sound. PX 760 also has more songs and is heavier and more beautiful in design than PX 350. 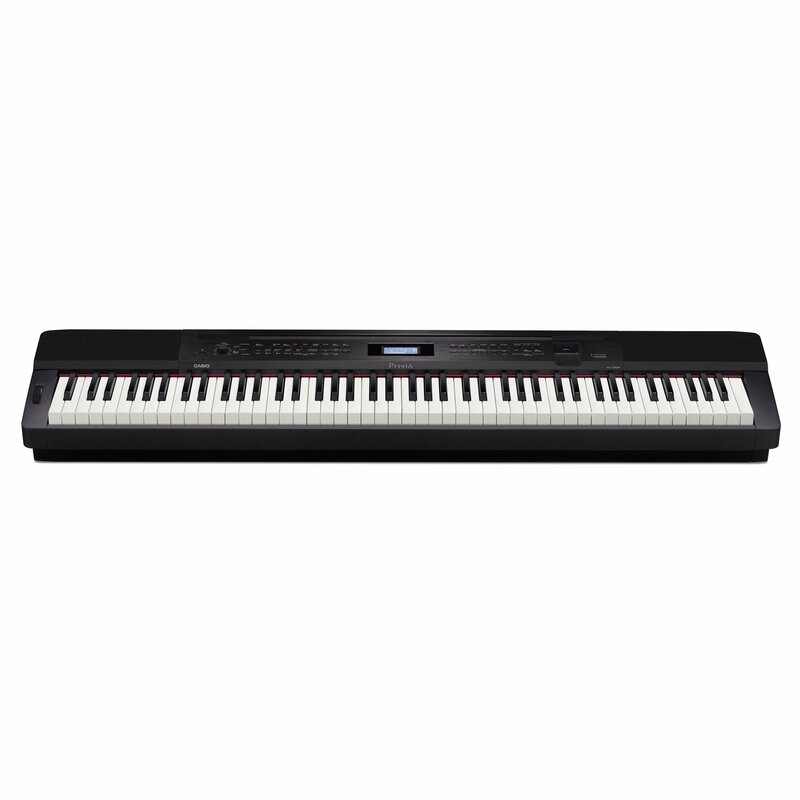 Casio PX 350 is a good choice for beginners and also professional piano artists. 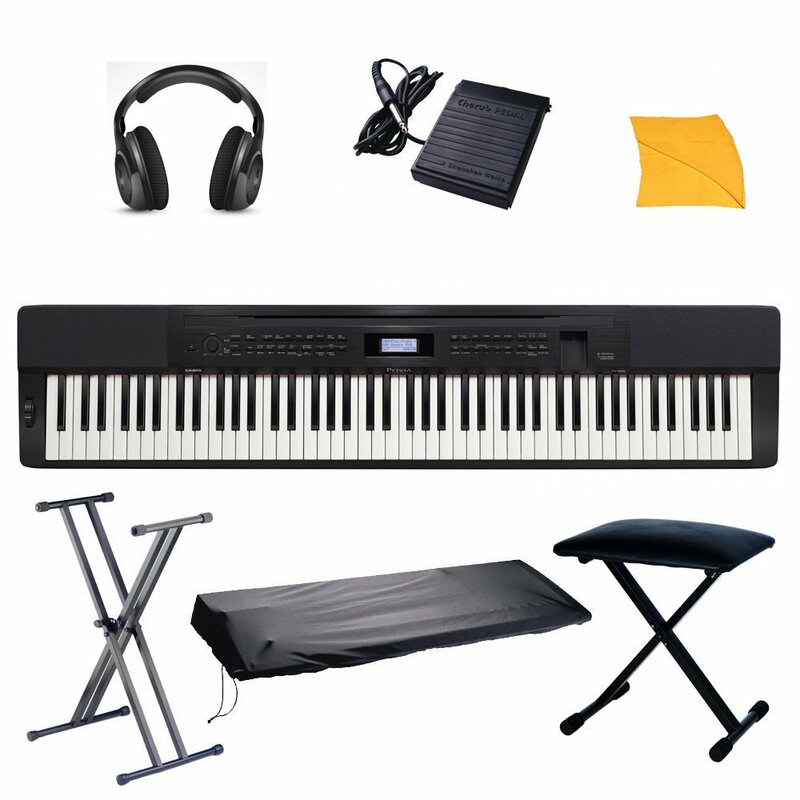 With many outstanding features and a reasonable price, you can try them at home for your piano lessons and performances. Come to buy it now.